MongoDB Essentials aims at equipping the attendees with essential knowledge and working experience to set up and manage a production level MongoDB cluster. The course begins with introduction to NoSQL paradigm and covers MongoDB comprehensively, which includes basic concepts of MongoDB, working with collections & documents, schema design (in comparison with relational schema design), aggregation framework, replication, sharding and performance tuning concepts. The course also includes hands-on deployment and working with highly available and scalable MongoDB cluster and best practices to deploy sharded MongoDB cluster on Amazon Web Services (AWS). With the advent to Cloud and Big Data, horizontally scalable NoSQL databases are gaining prominence in the IT world. Over past few years, MongoDB has grown to be one of the most prefered document based NoSQL databases among enterprises. 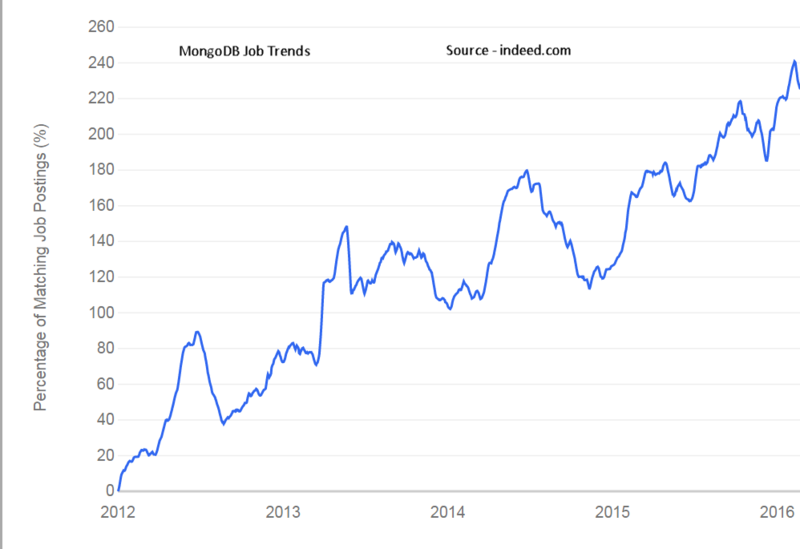 There has been an exponential growth in the demand for MongoDB profesionals. Below is the job trend posted by indeed.com. 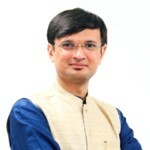 Hence, MongoDB knowledge is becoming a valuable asset and a necessity for both developers and database administrators. There are no prerequisites for the course. However, familiarity in working with any of the available relational databases would be beneficial.